We have collated the Time Team Peterborough episodes. The Time Team archaeology series featured Peterborough sites on many occasions. It took 54 episodes to get here but once they realised the wealth of archaeology in and around Peterborough they kept coming back. Where available you can see these immediately via YouTube. If they are not on YouTube or if you want to enjoy them at full definition then you can find them on ALL4. The Team travel back to the Bronze Age to Flag Fen in Cambridgeshire. The fenland bog is home to one of the most important archaeological ‘wet-sites’ in the country, where the soggy conditions help preserve 3000-year-old buried timbers. The small Lincolnshire town of Ancaster lies on Ermine Street, which is a major Roman road heading north from London. The only Roman remains visible today are some massive earth banks and ditches, which have been dated to the 4th century. So what was here before these defences and why were they built? A local couple digging a fish pond in their back garden find a skeleton. Complete with a knife, pottery and a valuable buckle. Clearly Saxon the couple wonder if they have a cemetery in their garden. A huge circular crop mark lies in the fens near Peterborough and archaeologists believe it is Neolithic. Is it a farming settlement or a crucial religious site? Time Team investigate. Time Team visit Glendon Hall in Northamptonshire, where local resident Martin Hipwell uncovered a skeleton while building his mother a new house. In late March 2006, a potter and keen fieldwalker, Richard Landy, reported his discovery of an almost complete ceramic Roman cheese press to his local finds liaison officer under the Portable Antiquities Scheme. What made it all the more special is where he found it – washing out of the side of a two-metre-deep ditch in Stilton. Set in the flat, windswept expanse of the Fens, this little mound of earth known as Chapel Hill has intrigued archaeologists for years. The landowners have found ornately carved stone blocks around the hill, suggesting a religious building may once have stood on it – but they’ve also found beautiful flint axes that are at least 4000 years old. Tony and the Team examine the remains of the world’s first ever purpose-built prisoner of war camp, at Norman Cross in Cambridgeshire, built in 1797 to house 7,000 Napoleonic troops. An eagle-eyed forest ranger spotted bits of Roman building poking out from the forest floor in Cambridgeshire’s Bedford Purlieus Wood. The Team face one of their strangest challenges ever: digging through a church graveyard in search of what could be one of the largest Roman structures ever built in Britain. The Team must dodge the thousands of burials in the graveyard to get to an ornate mosaic floor that was reportedly discovered almost 200 years ago. Oakham Castle is the best preserved 12th-century building in Britain, but there’s much more to it than meets the eye. The walled area surrounding the castle is full of mysterious lumps and bumps crying out to be investigated. The castle was once home to the Norman knight Walkelin de Ferrers, who fought alongside Richard the Lionheart in the Crusades. Before that, the same site was home to some of our most legendary Saxon kings and queens. Tony reports from the Witham Valley, where many spectacular finds have already been recovered. Funded by the Environment Agency, a winter dig is under way, in a race to get a picture of this Bronze Age settlement before the rebuiilding of the flood banks. Time Team is following specialists such as wood expert Maisie Taylor, but also looking at the work of the conservation labs which are the backbone of architectural research. 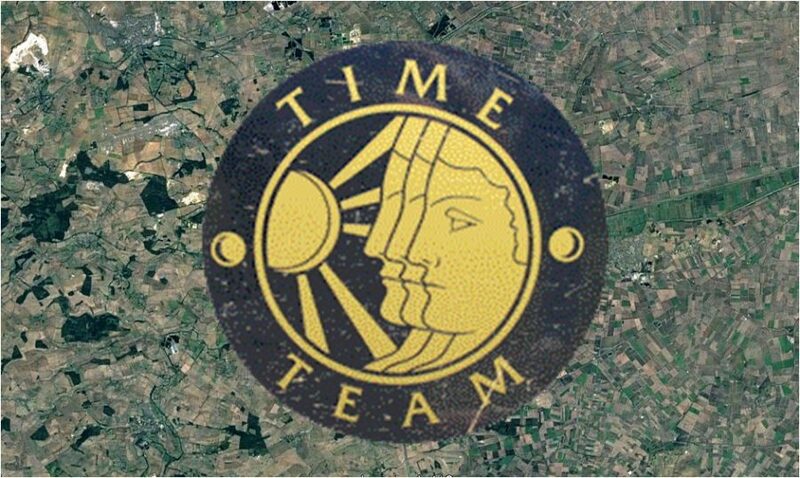 For six months in the latter half of 2000, Time Team followed an excavation in Ely, Cambridgeshire, for a special 90-minute documentary. Tony Robinson traces Boudica’s story and follows an excavation in Norfolk that may hold the key to uncovering what happened to Boudica’s tribe after they were defeated by the Roman army.